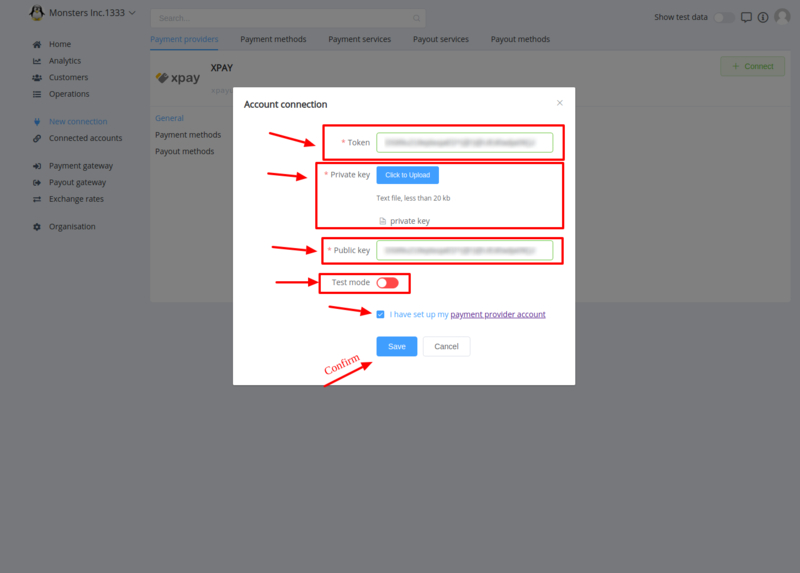 Here You can find instructions for setting up Xpay account. You can generate them in any way you can. Here is an example how to do this! Save your Private Key to txt file and upload it to connecting form using Upload button! Press Connect at Xpay Provider Overview page in New connection section to open Connection form! Test mode is set according to your account settings!